Fair Trade is a social movement whose stated goal is to help producers in developing countries achieve better trading conditions and to promote sustainable farming. 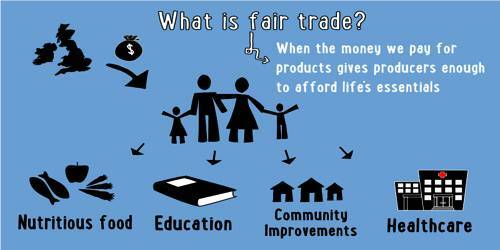 Fair trade is a simple way to make a difference to the lives of the people who grow the things we love. We do this by changing the way trade works through. It seeks to change the terms of trade for the products we buy – to ensure the farmers and artisans behind those products get a better deal. Most often this is understood to mean better prices for producers, but it often means longer-term and more meaningful trading relationships as well. Fair Trade is a movement whose goal is to help producers in developing countries to get a fair price for their products so as to reduce poverty, provide for the ethical treatment of workers and farmers, and promote environmentally sustainable practices. There are several recognized fair trade certifiers, including Fairtrade International (formerly called FLO, Fairtrade Labelling Organizations International), IMO, Make Trade Fair and Eco-Social. Additionally, Fair Trade USA, formerly a licensing agency for the Fairtrade International label, broke from the system and is implementing its own fair trade labelling scheme, which has resulted in controversy due to its inclusion of independent smallholders and estates for all crops. 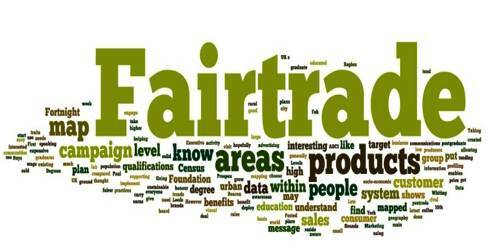 Fairtrade is about better prices, decent working conditions and fair terms of trade for farmers and workers. It’s about supporting the development of thriving farming and worker communities that have more control over their futures and protecting the environment in which they live and work.